Until a couple of days ago I knew Viltrox only as a manufacturer of more affordable electronic adapters. But then I came across this post on SAR announcing that they will release three new lenses, two of them in E-mount. So before I met Bastian I had to check them out. The manual focus 1.8/85 has electrical contacts and you control the aperture with the camera. The focus ring felt really nice: no play and just the right amount of resistance. Built quality in general left a positive impression. I was told it would be released in about a month for $299 which is $100 more than SAR reports. I took a few images which showed no obvious weaknesses but they are cropped to APS-C. I guess the lens reported as an APS-C lens so the camera cropped automatically. So my first impression was quite positive. I think it could become an attractive budget alternative to the lighter Sony FE 1.8/85 if they manage to release it without issues and move the price down a little. Again my pricing info differed from the one on SAR: I was told it would be $489. No electrical contacts on this one. You don’t see any pictures of this lens because their prototype was stolen. 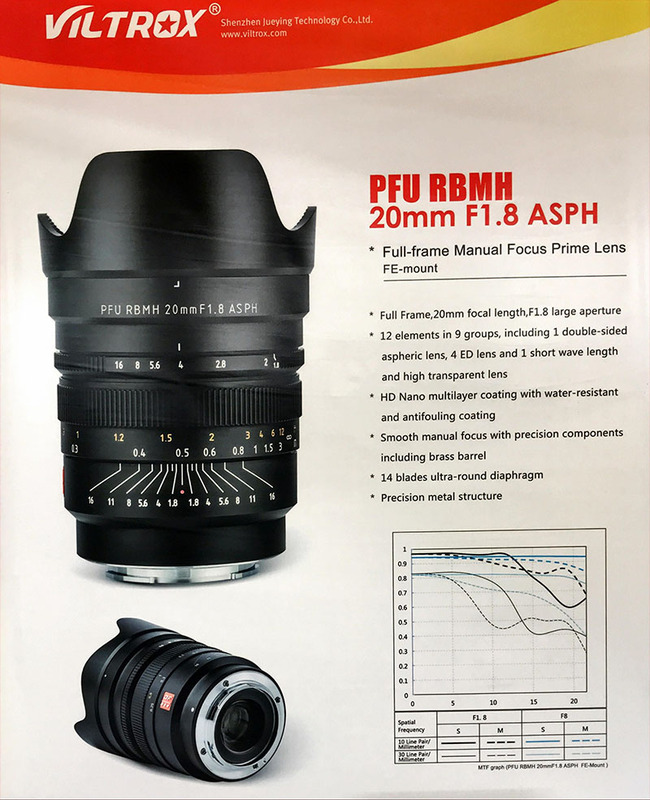 At that price it isn’t very far away from the (almost as fast)Tokina 2/20 which has exifs and a known manufacturer, so I think it won’t be an easy entry to the market. This AF version will only come in Fuji X-mount. 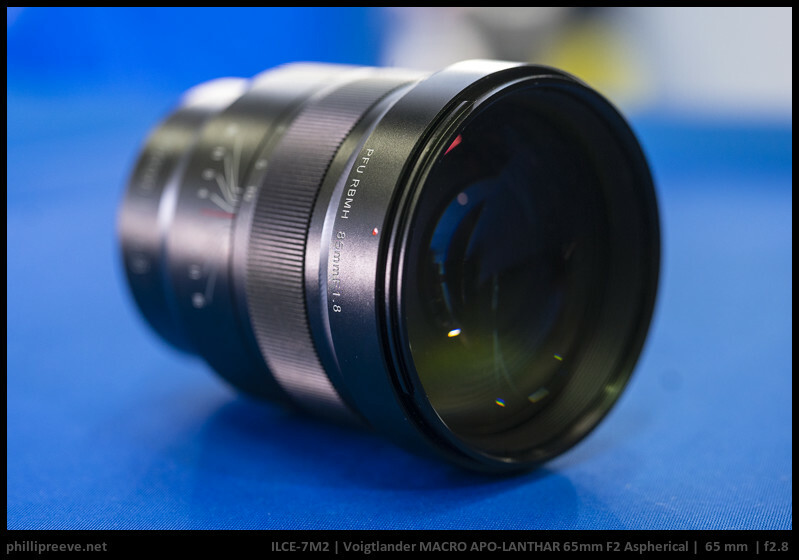 I tested it with their own Fuji X-H1 and relied on their setup but AF felt pretty slow to me. I was told it would be released in about 3 months for $379. A new player in the field is certainly good news, and I am really pleased that they have some electronics expertise so they can provide EXIF. A few minutes at their booth is not enough info to judge their products, but my first impression was positive enough that I would consider reviewing some of their lenses once they are released. 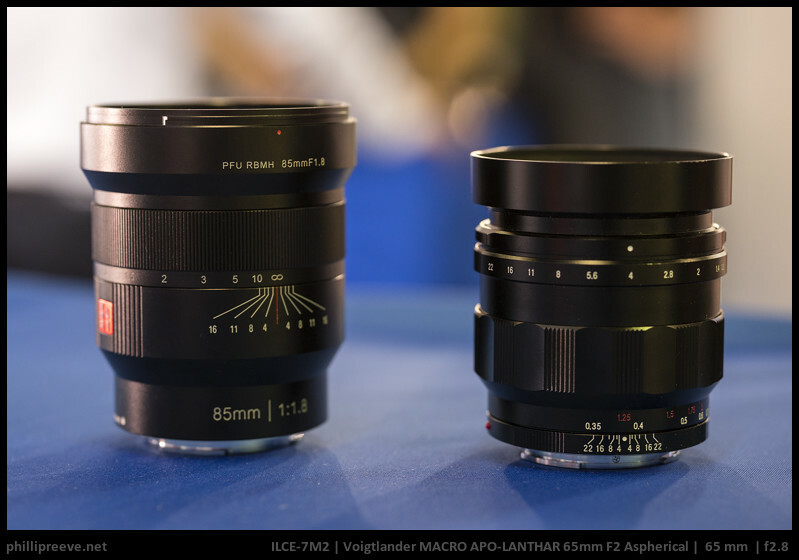 Too bad they’re releasing the 85mm AF not for Sony. It even says on the poster that the 85 STM will be for Sony FE as well. They changed their mind? Guess we will have to see. At that price I would find it hard to choose it over the Sony anyway. 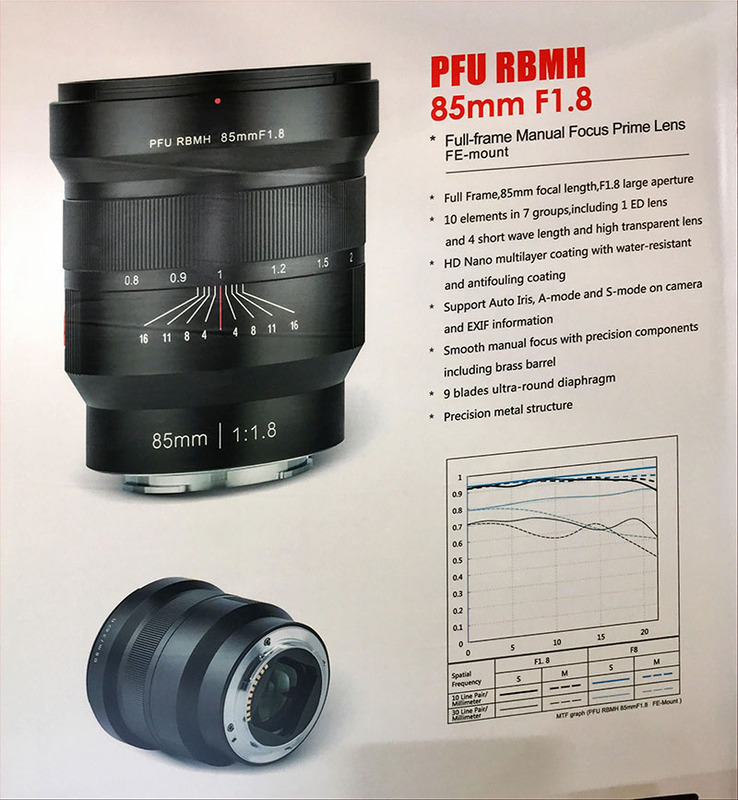 Id have to check, but im pretty suree they told me its coming for FE, but a little later than for FujiX. 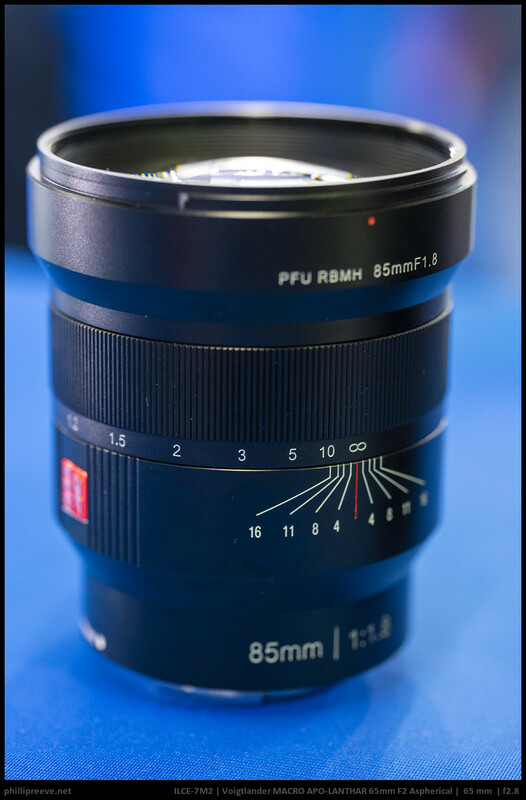 Also, Meike displayed an FE 85mm f1.8 prototype. Maybe were swarmed in FF 85f18s in near future. I probably wont sell my FE85 though, its lovely IQ, small and light for what it is. Hello everyone, this is Mandy Lee who is on behalf of VILTROX to recruit some photographers for shooting several photos for us monthly who will be offered the 85mm/20mm F1.8 MF lens FOR FREE and the images provided to us will be paid to some degree. I have the 85mm and it’s not necessarily a trend setting sort of lens, but I think it’s really good overall. It has more of a vintage logic and optical quality to it with a few modern bells and whistles thrown in for good measure. 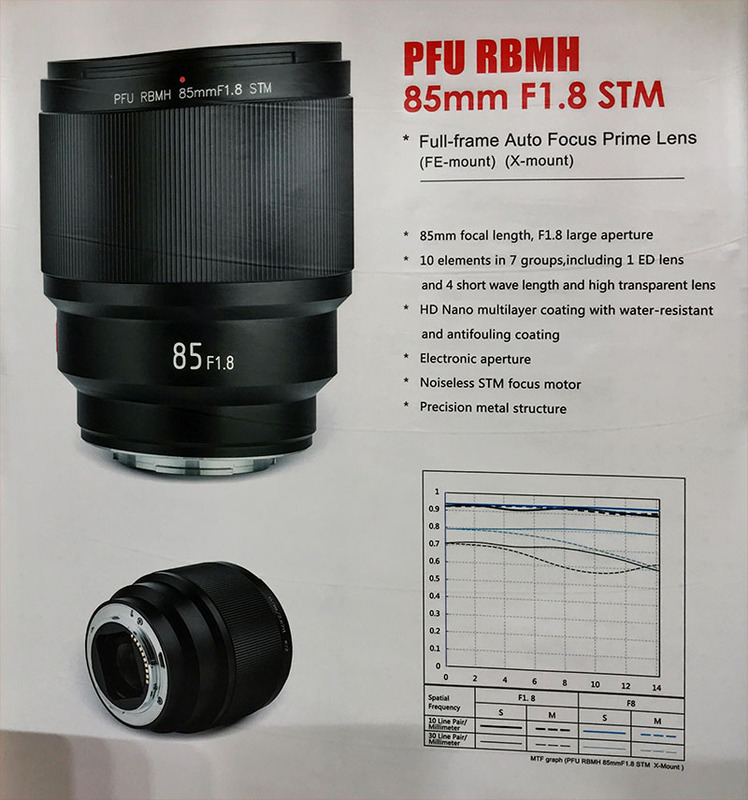 For the price, I think it’s a pretty good value for an 85mm.